The coach of the Spanish national team has confirmed that he was close to clinching a managerial position with the Wolves just before the Spanish Football Federation indicated their interest in him. 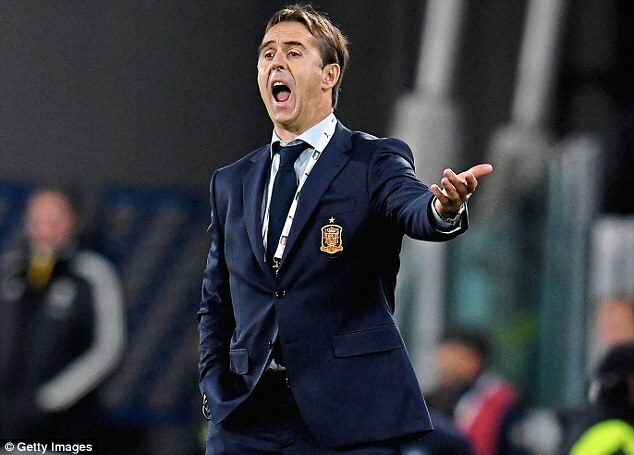 Julen Lopetegui who was made coach of the Spanish team during summer said he had been in contact with the owners of the Sky Bet championship club, Fosun International, a Chinese consortium that had recently bought the club in summer. The 50-year old was supposed to replace Kenny Jackett as soon as the purchase of the club was confirmed by the new Chinese order, but as soon as the Spanish football federation came calling, he says it was not a tough decision to take up the job. The former goalkeeper for Spain had been keen on clinching the job at Molineux but does not regret picking the role to lead his country's national team. "When the federation called, naturally my objective became the national team, but it's true that before that (Wolves and I) had been working hand in hand for some time. It was very close but in the end it wasn't to be. "I enjoyed the time I spent with them; there were job offers from the Premier League but their project was especially attractive. Wolves is a great club, where there would be significant investment and a desire to grow, to shine again." Lopetegui also added that he is quite passionate about English football and loves the fans passion as well. He had hoped to bring some of the Spanish culture to certain things he felt could be helped if he had become the coach. As soon as the takeover at Wolves was completed, Walter Zenga was handed the managerial role with the club. He however did not last more than 87 days before being replaced by Paul Lambert just recently.